The JAWS scuba PACK contains the essential solutions to prep, clean and maintain your scuba equipment. 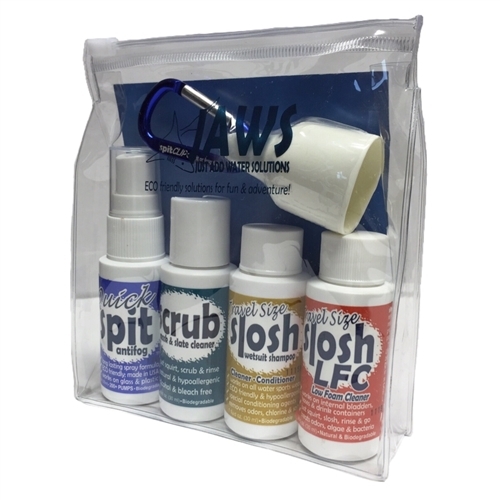 It's the perfect size for a weekend adventure or when traveling to your next exotic destination. 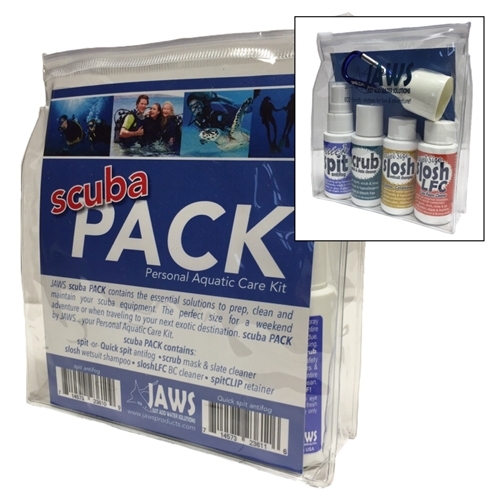 The scuba PACK puts our most popular products in your hands, sized and priced to be affordable for everyone! 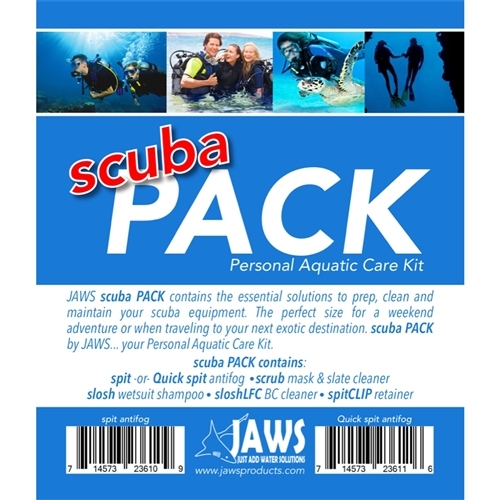 "scuba PACK" by JAWS, the Personal Aquatic Care Kit.